After our little trip through Holland and Germany we are now staying with my family in Brittany in France for a couple of weeks. There is no wifi where we are staying, so blogging is slightly more challenging. We are enjoying the beautiful late summer days by the sea. Yesterday all of us went on a long bike ride to the other side of the peninsula, up and down hills and around the bays. 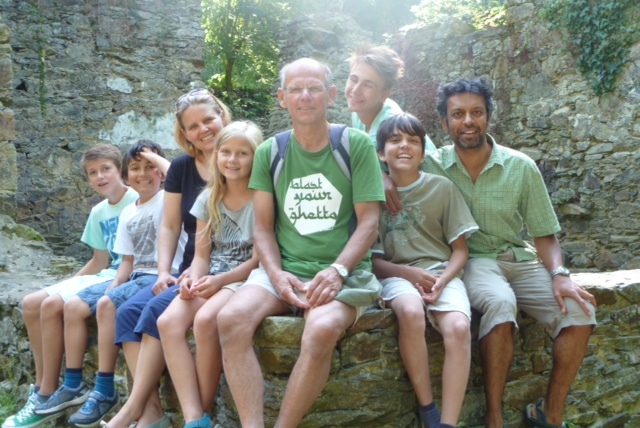 We found this old fallen down mill which served as a very nice spot for some family photographs. As I sit here at our local Minigolf/cafe/ pub with wifi access, the children have all gone fishing with our local friend Michel. Tonight there will be a party/ concert here, a “Fest Noz” which Jayesh and I might check out. On August 23rd my friend Tini turned 40. We have known each other and been friends since Kindergarten days. As teenagers our familys were sometimes holidaying together and as we were both in the scouts, we shared many adventures. To celebrate Tini’s special birthay we travelled to Darmstadt on Saturday, August 24th and parked Clifford, the Red Rover inTini’s garden. The evening turned out fantastic, not only due to the amazing paella, but it was also really good to catch up with so many old friends. We danced and celebrated and sat around a camp fire until the early morning hours. 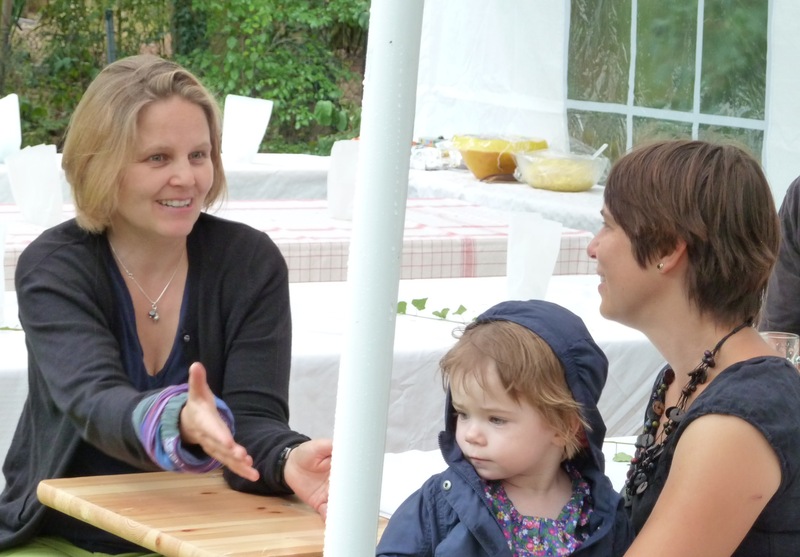 I feel quite determined to be back for Tini’s 50th, wherever in the world I may be at that point! It is our last full day in Cologne where we are staying with our aunt ,Vanessa, and her family, Peer, Jonas and Phillip. 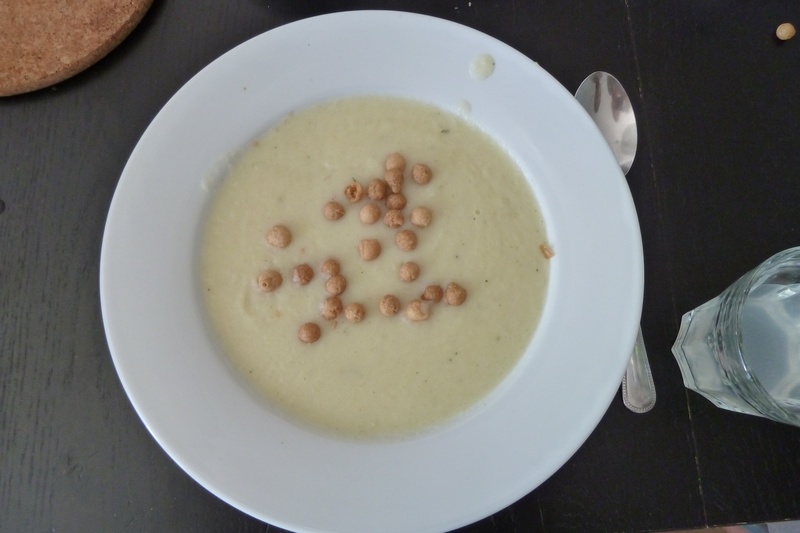 For lunch today we had a delicious kohlrabi soup which I announced as my favourite soup. 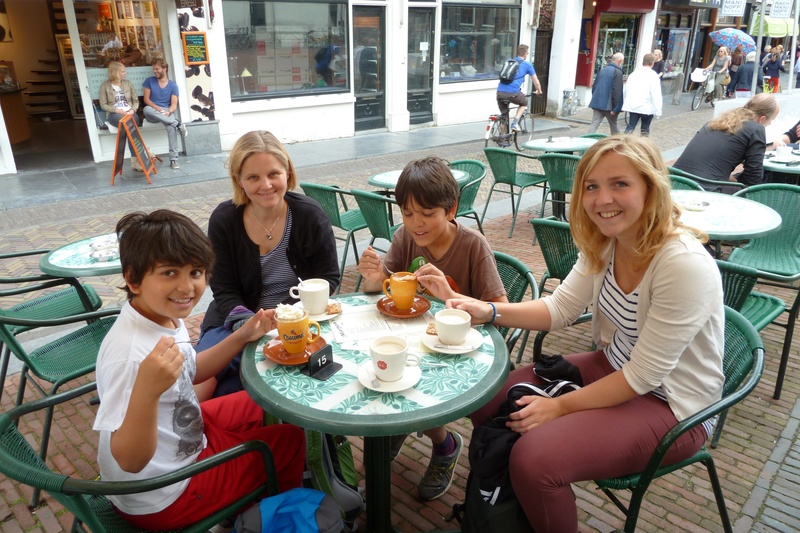 Yesterday we were in Holland and we visited one of our old Aupairs, Maaike. She showed us Utrecht, the town where she lives and we went to a cafe where I got a hot chocolate with A LOT of cream on it. After that we went to the train station where went got on a train to Amsterdam. When we got there we went on a “hop-on-hop-off” canal boat tour. We saw lots of museums and windmills on the way which was great fun! The movers were here today and packed up our belongings ready for sending to New Zealand. Tomorrow they will be back and load everything into a container which will then be shipped to the Land of the Long White Cloud. Jayesh and I have been spending the last few days sorting our belongings, deciding what to ship, what to get rid of and what we need on our trip. Its hard to believe that we arrived here 11 years ago with 2 or 3 suitcases and a 6 month old baby. We are now leaving with a container full of stuff and Milan has finished primary school…. 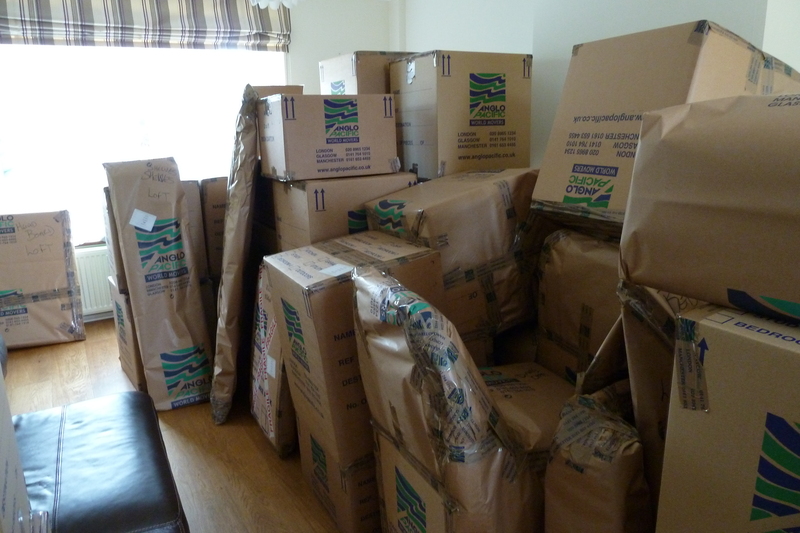 Our lounge : all our belongings are packed up ready to be shipped. Yesterday I drove back home from Pangbourne after leaving drinks with work colleagues and friends in The Swan the night before. As I said, “it’s the people that I’ll miss” – thank you to you all for a great 4 years in Lubricants! As I called home to say that “I was leaving Pangbourne now”, Maria reminded me that this may be the last time I said this, where typically it would be after 7pm where I would call from either Pangbourne or Swindon saying I’m leaving & wondering if any dinner would be left when I got home. During this time I have got to know J2-J15 of the M4 intimately and the majority of the 84,000 miles on the clock have been on this road. I will not miss the M4, but grateful that it has safely taken me the equivalent distance of 3 times around the world over the past 4 years.